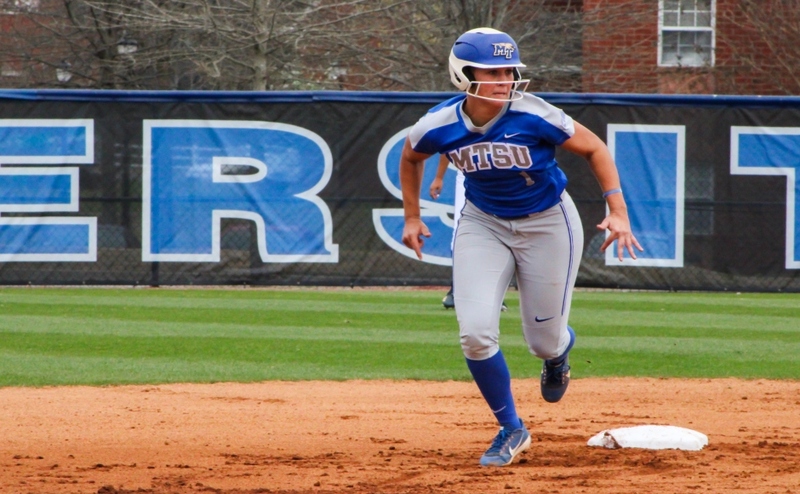 Though it took extra innings, Lexi Cushing hit a two-run walk-off home run to give the Middle Tennessee Blue Raiders (2-1) a 5-3 victory over the Tennessee Tech Golden Eagles (0-3). 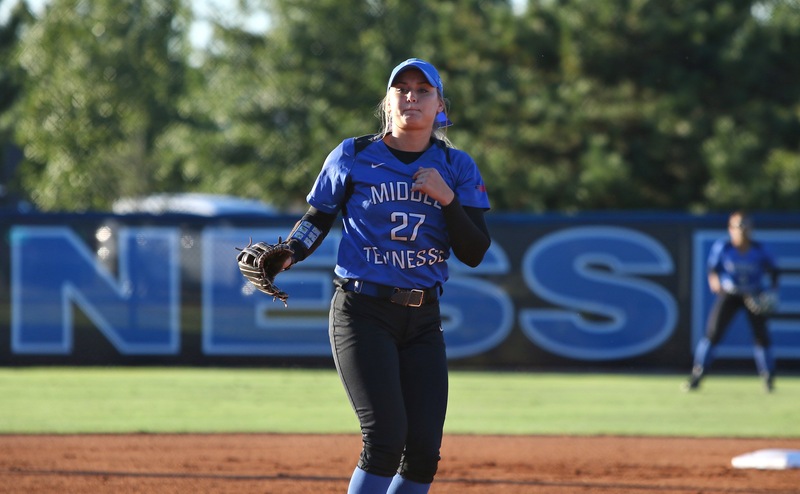 Freshman Veronica Westfall got the start for MTSU and lasted 3.1 innings, allowing two runs on two hits, and recording two strikeouts. The Raiders opened the scoring in the first inning with a sacrifice fly from senior Austin Whaley. Middle Tennessee tacked on two more runs courtesy of a double from Keely Mcgee and a sacrifice fly by Payton Grove to make the score 3-0. Tennessee Tech cut the Blue Raider lead to 3-2 after home runs from Hallie Davis and Alyssa Richards. After a walk, Westfall was replaced by senior Megan Chocallo. 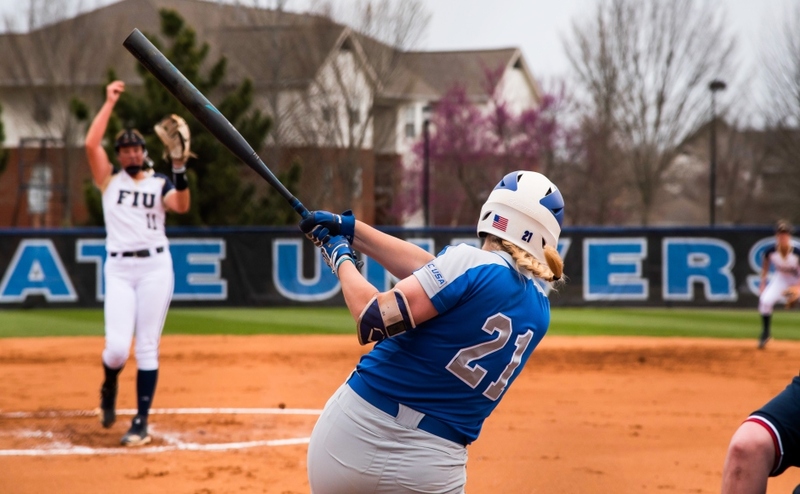 The Blue Raiders held the lead until the top of the seventh, when Davis hit her second home run of the game off Cori Jennings to tie the score at three and send the game to extra innings. 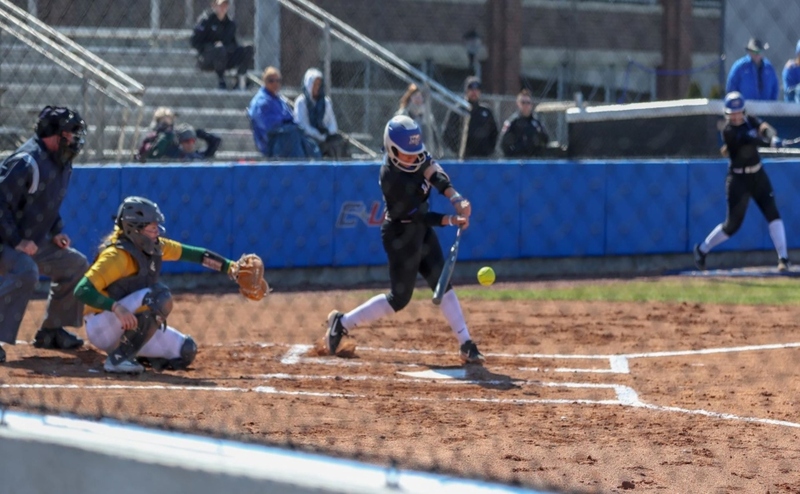 The Blue Raiders held the Golden Eagles scoreless in the top of the eighth, before Lexi Cushing hit a two run walk off home run on the first pitch for Middle Tennessee to win with a score 5-3 in eight innings. Even with the blown save, Jennings got the win to run her record to 1-1, pitching two innings and only giving up the home run. 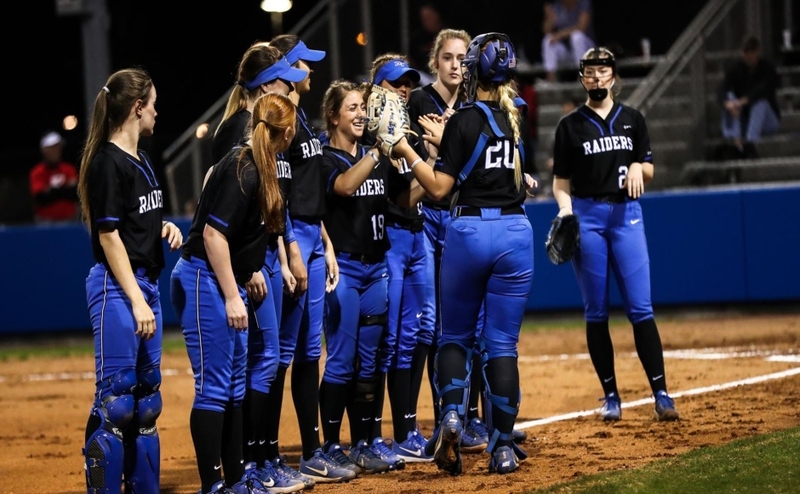 The Blue Raiders will be back in action on Sunday when they play Tennessee Tech at 9 a.m. and Georgia Southern at 1 p.m.